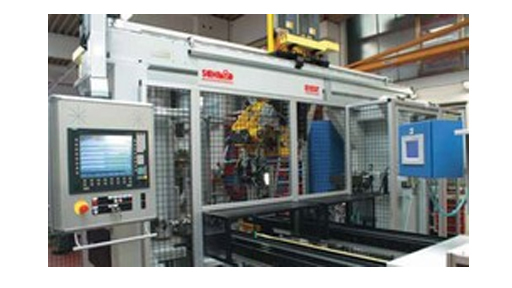 Installation systems for the assembly of electric motors by Emil Schmid Maschinenbau are customized special machines. They are suitable for mounting the rotors of brushless EC motors which are used as drive motors of electric vehicles. With a cycle time of between one and five minutes, an automation degree of about 90% is typical. In addition to assembly processes, testing, balancing and marking processes are integrated. The engine mounting systems for EC motors of electric vehicles are supplied by Emil Schmid Maschinenbau as turnkey customer-specific systems. Exemplary assembly systems are based on a workpiece carrier transfer system with free circulation and are implemented as far as possible with modular components in the desired degree of automation. Users are found in the automotive and automotive supply industries as well as in the electrical industry.